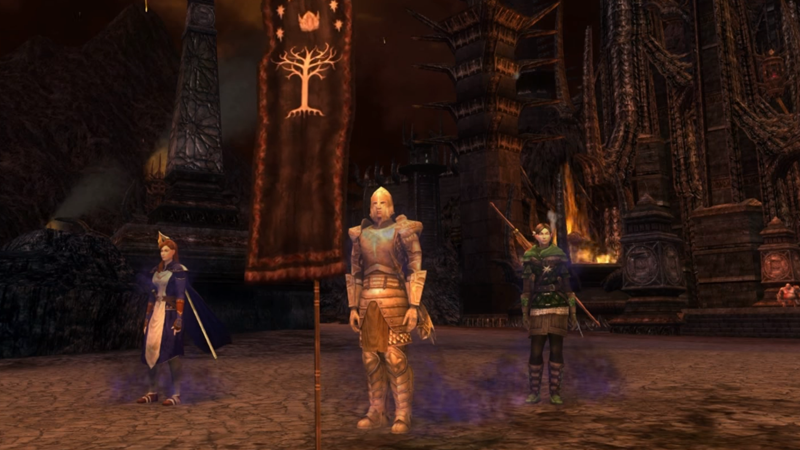 The Lord of the Rings series has a long and strange history with gaming—a history that’s lead to some really weird interpretations of Middle-earth. But now a new venture wants to take a crack at a Tolkien-esque take on a familiar format: another massively multiplayer online game. Despite the fact there’s actually a currently-still-active MMO set in Middle-earth in and around the events of the novels (the unsurprisingly named Lord of the Rings Online, which launched in 2007), the Hollywood Reporter has word that another, set before the events of either The Hobbit or The Lord of the Rings, is now in the works. We don’t know much beyond that, or even how far before it will wind up going. Like most things involving the Lord of the Rings brand lately, it’s hard to tell just who has the rights to use which versions of it and where—but this will likely be its own interpretation of the vast lore of Middle-earth, rather than borrowing from versions we’re already familiar with. Still, given that Lord of the Rings Online is still active and supported, an entirely new “prequel” in the same genre seems like a weird idea. No release window was mentioned for the new title, so expect to not hear much from this latest LOTR-foray into gaming for a while.